Center for Islamic Pluralism Executive Director Stephen Sulejman Schwartz requests that Muslims recite Fatiha and surah Ya Sin, and that non-Muslims also offer memorial prayers, for the Bosnian scholar Professor Muhamed Neziroviċ of the University of Sarajevo Department of Romance Languages, of whose death this week, after a long illness, we have just learned. Hamo Neziroviċ, although Muslim, was perhaps the greatest scholar in the world in the field of Bosnian Sephardic studies. His works included the outstanding volume Jevrejsko Španjolska Književnost (Jewish Spanish Literature), issued by the Bosnian publishing house Svjetlost only weeks before the outbreak of the Bosnian war in 1992. The main stock of this extraordinary volume was destroyed during the war, but Schwartz managed to locate and rescue 50 precious copies of it after the conflict. Hamo also edited the outstanding two-volume collection of Bosnian Sephardic ballads and lyrics, Romancero Judeo-Español collected by Samuel Elazar, issued in Spanish and Bosnian in Sarajevo and also mainly lost in the deliberate Serbian burning of the Svjetlost book warehouse at Blažuj during the war. Further, his house and library in Sarajevo were entirely devastated by Serb troops during the war and it was Schwartz's high honor to donate his own entire, extensive library of Sephardica to Hamo and to the University of Sarajevo. Hamo served as Bosnian ambassador to Spain during the war. He was an outstanding scholar, a true friend of Jews and an exemplary Muslim, whose loss will be deeply and painfully felt. We here reprint Schwartz's "Homage to Muhamed Neziroviċ " from the book Sarajevo Rose, London, 1995. Of the friends I have made in my Balkan travels, there is nobody alive who is dearer to me, in certain respects, than Professor Muhamed Neziroviċ of the University of Sarajevo. Hamo, as he is universally known, is not prepossessing person. He is a scholar through and through, even though he served as his country's ambassador to Spain from 1994 to 1998. During the Bosnian war, his home and personal library, in a zone quickly taken by Serb troops, were entirely burned. He was born in Sarajevo in 1934, in the mixed Muslim and Serb mahala, or neighborhood, of Nadmlini. His family owned land and were active in commerce; they had strong personal links with the Sephardic business community. Indeed, an uncle, although Muslim, was a member of the Jewish choral society, Lira, and toured Palestine with it in the mid-'30s. Hamo himself, as a child, had an account in the Bank Geula, a Jewish bank expropriated by the Germans during World War II. An aunt, who had gone from Sarajevo to live in Bijeljina, often spoke bitterly of the arrest by the Nazis of her three Jewish women friends, Mazalika, Mazalta, and Ordunja. She protested their arrest, saying she did not wish to be separated from them, and a German soldier warned, "If you love them so much, you can go with them." Hamo also has two brothers who still lived in Sarajevo in 2003. Hamo finished his elementary and secondary education in Sarajevo, then studied Romance languages at the university there. After several years as a secondary school teacher in Gradačac and Konjic, he was appointed a university graduate assistant. He spent three years in France completing his dissertation,"Le Vocabulaire dans deux versions du Roman de Thèbes," which he defended at the University of Clermont-Ferrand in 1975. He soon received his first appointment to the faculty of the University of Sarajevo, where he remains today, as Professor of French and Comparative Romance Grammar. 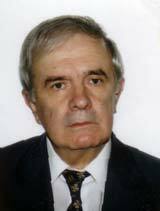 Among his many publications, he was editor for the cultural history of Bosnia-Hercegovina in the Yugoslav Encyclopedia. He was decorated Cavaliere della Repubblica d'Italia by the Italian government. My first encounter with Hamo was not personal, but involved my purchase of his two-volume edition of the Elazar anthology, Romancero Judeo-Español, in Sarajevo in 1991. Later, I discovered some copies of Hamo's Jevrejsko Španjolska Književnost [Jewish Spanish Literature] lying unnoticed in bookstores, after most of them had been destroyed during the 1992–95 war. One of Hamo's most significant contributions is his article "La Istoria de los Žudios de Bosnia de Moše (Rafael) Atias (Zeki-Efendi)," delivered to the Fourth International Congress of the History of the Spanish Language, held in La Rioja in 1997. This paper offers an indispensable panorama of intellectual life among the Sarajevo Sephardim at the end of the 19th century. In it, Professor Neziroviċ – one should not use a nickname in seriously describing his scholarly work – recalls the founding of the weekly newspaper La Alborada [The Dawn] in 1900. La Alborada carried as its subtitle, Periódico Instructivo-Literario organo del Žudaismo de Bosnia y Erzegovina. This publication was issued in Judeo-Spanish, mainly using square Rashi Hebrew type, by the poet Abraham Aaron Capón. Capón was born in 1853 of a rabbinical family in Rushchuk, on the Bulgarian bank of the Danube (the Nobel laureate Elias Canetti was from the same town). He had first attempted to launch La Alborada in Ploesti, Romania, in 1898–99, although a letter indicates it was printed in Rushchuk. But the enterprise had failed. Capón had then decided to emigrate to America, but on the way he stopped in Vienna, where he was delayed by a great influx of Russian Jews heading across the Atlantic. He met a Jew from Bijeljina named Meir Danon, who invited him to go to Sarajevo; he went and remained there until his death in 1930. In a short biography published in the Elazar Romancero Judeo-Español, Capón is credited with a "majestuosa personalidad." He worked as a religious and secular teacher, and he was an enlightener; when he arrived in Sarajevo his sophistication surprised the rest of the Jewish believers, as did his dedication to the study of scientific and Hebrew topics. He wore European dress, rather than the traditional Ottoman costume still typical of Sarajevo. Later in his life he wrote theatrical pieces and poetry. La Alborada lasted only seven and a half months in Sarajevo, but it had a considerable impact. Congratulations on its foundation were sent by the Rabbinate of Turkey and the Jewish Academic Youth of Vienna and Sarajevo. Its most important contributing writer was one of the most distinguished Jewish citizens of the city: Moshe ben Rafael Attias, known as Moshe Rafajlović and as "Zeki-Effendi," author of a History of the Jews of Bosnia. This work was signed "El Amante de la Luz" [The Lover of Light]. Both Capón and Zeki-Effendi wrote standard Castilian, not Judeo-Spanish, although their texts were printed in Hebrew letters. In 1911, the great Spanish scholar of Sephardic balladry, Don Manuel Manrique de Lara, toured the Balkans in Attias's company, collecting oral texts in Bosnia, Serbia, and Kosova. Capón commissioned Zeki-Effendi to write an authoritative history of the Bosnian Jews, and Moshe ben Rafael Attias has become especially identified with the historiography of R. Moshe Danon, "the rabbi of Stolac." Another of the most interesting aspects of Zeki-Effendi's history is his indication of the communal role of the waqf or Islamic endowment of the great Ottoman governor Gazi Husrevbeg, to whom the tenants of the original Jewish residences, as well as Jewish shopkeepers in the Bezistan market paid rents. Other fascinating items include a record of departure for Safed, the Palestinian center of Lurianic Kabbalah, by one of many distinguished rabbis. The rabbinical history of the Bosnian Jews is one of the numerous topics discussed in Professor Neziroviċ's 1992 volume Jevrejsko Španjolska Književnost. This work provides a uniquely thorough picture of a regional Sephardic culture, discussing features of its dialect, religious and literary genres, folklore and artistic literature, with exemplary texts and analyses thereof. It is a book well deserving of translation and publication in other languages. Professor Neziroviċ delivered an excellent summary of Sarajevo Sephardic history at a conference on Spain and Hispanic Culture in the European Southeast, in Athens in 2000, with the title"El Lugar de la Comunidad Sefardí de Bosnia entre las Comunidades Sefardíes de Europa y el Mediterráneo." He told me that at the conference he conferred with Marius Sala, a great Romanian scholar of Romance linguistics. Sala's volume Estudios sobre el judeoespañol de Bucarest (1) was the first book on the topic I ever bought, in San Francisco in 1976, while staring into Sarajevo cigarette tins, soon after encountering Kalmi Baruh. I brought the book with me to Sarajevo. Hamo had lost his copy when the Serbs burned his house, and I gave mine to him, with others that were difficult for him to obtain. Hamo said Sala had agreed with him that Sarajevo should become a new center of Sephardic studies. And I, of course, also concur; we have several times discussed how beneficial it would be for the University of Sarajevo to include a Center for Balkan Jewish Studies. But these sentiments may also echo that found in the paper "El Lugar de la Comunidad Sefardí de Bosnia …," where it is noted that in 1924 the Sarajevo newspaper Jevrejski Život [Jewish Life] criticized "the Sephardismo of Sarajevo, a Sephardismo absolutely detached and separatist, that wishes to see Sarajevo as a center of pan-Sephardism because Sarajevo, according to the opinion of the promoters of this idea, is the capital and most central city in the entire Sephardic world." The same paper notes that the first collectors of Sephardic ballads were the Bosnian rabbis HaKohen Moshe ben Mikael (1702) and HaKohen Bahar Moshe David (1794). This is the tradition I have tried to support, and to which Muhamed Neziroviċ belongs. He also points out that in the darkest moments of fascism in Bosnia-Hercegovina, during World War II, the Islamic communities of the country directed "Muslim Resolutions" to the Axis occupiers, calling for the protection of life and property of all Bosnians, regardless of religion. The topic of these resolutions is absent from academic discourse in the West; but its legacy also unites us. The contribution of Muhamed Neziroviċ to Sephardic studies represents an indispensable resource for Jewish cultural history. But his position in Sarajevo may be the seed of a vision. Sarajevo has been scarred by the same intolerance of the non-Christian "other" that led to the Holocaust. Its university, which once graduated numerous doctors and other professionals employed throughout the Muslim world, today struggles toward reconstruction. I have often been told by Eastern European diplomats and intellectuals of their ambitious plans for new memorials to Jewish martyrdom in World War II. But I have several times proposed that rather than create new museums, one of the governments or universities in southeast Europe should endow a department of Sephardic studies, with the mission of preserving books and manuscripts and providing a home for visiting scholars from Spain, Israel, and the United States. I am prepared to offer my own small contribution to such a program, in the form of Sephardica I have collected. But I can imagine no better place for such an effort than Sarajevo, and no better person to lead such a program than Muhamed Neziroviċ, my friend and mentor. (1) México, Universidad Nacional Autónoma de Mexico, Dirección General de Publicaciones, 1970. Elazar, Samuel M., ed. Romancero Judeo-Español, 2 vols, Sarajevo, Svjetlost, 1987. Actas del IV Congreso Internacional de Historia de La Lengua Española , La Rioja, 1997. Jevrejsko Španjolska Književnost, Sarajevo, Svjetlost, 1992. "El Lugar de la Comunidad Sefardí de Bosnia entre las Comunidades Sefardíes de Europa y el Mediterraneo,"
Conference on Spain and Hispanic Culture in the European Southeast, Athens, 2000.